According to the Centers for Disease Control and Prevention (CDC), the months of October and November are when influenza activity begins to increase. And although flu season doesn’t tend to peak until December through February, getting ahead of the flu and preparing yourself and your family to avoid it is half of the battle. 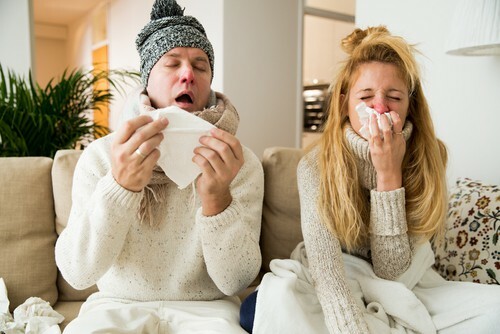 Our dental office in Alexandria compiled the top tips to help you prevent the flu this year. Along with eating well, drinking enough fluids, particularly water, keeps your body working the way it’s intended to. A well-hydrated body keeps white blood cells healthy and ready to fight off germs. Plus, it will make your dentist in Alexandria happy, too. The team at our Alexandria dental office hope you and your loved ones avoid the flu this season, but if you happen to come down with it we encourage you to use sugar-free medications to keep your mouth protected.